in the field of Otolaryngology. Connect with Dr. Mansfield's staff to schedule appointments, and view your medical record and lab results in a secure manner. …the New Foundation will have an International presence to empower doctors, and advocate for communities and patients with head and neck cancer and skull base diseases. This gift will impact lives regionally, nationally and internationally. 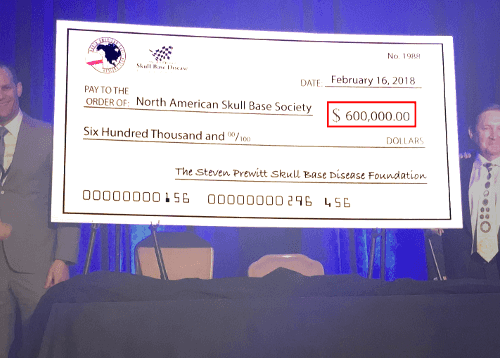 Our congratulations to the Steven Prewitt Skull Base disease foundation and its board of directors including Jim Kidrick, CEO and president of the San Diego Air & Space Museum, Dr. Jason Taranto, Dr. Michael O'Leary, and Bobby Bennett for making this life changing donation. 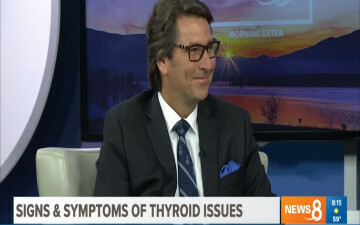 Dr Perry Mansfield discussed Deborah Norville's diagosis of thyroid cancer on CBS 8. Dr. Perry Mansfield featured on CBS Channel 8, discussing thyroid cancer in light of "Inside Edition" Deborah Norville's cancer scare. Endoscopic surgery of the nose and paranasal sinuses is a sophisticated method of treating sinus diseases. Specifically, it consists of performing surgery with endoscopes similar to the arthoscopes that are used in orthopedic surgery of the knee and other joints, thereby allowing greater visibility inside the sinuses. Minimally Invasive Parathyroid surgery When surgical treatment of parathyroid disease is indicated, the abnormal tissue is identified before surgery using a combination of ultrasound, CT scans or Sestamibi scans. A small midline incision is carried out and the abnormal gland is removed. Sleep apnea is diagnosed through a physical examination with particular emphasis on weight, blood pressure and airway constriction in the nose, throat and lungs. In many cases, a sleep test will be recommended at a sleep laboratory. Dr. Mansfield's awards, recognition and press. Determine Dr. Mansfield's qualifications in ENT or Skull Base Diseases.